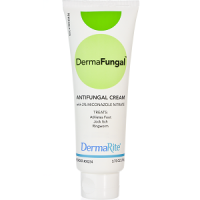 Our review today is on DermaFungal, a cream that could aid against Ringworm and other similar infections. The manufacturer is very clear that it is an aid, and not necessarily a cure-all. Ringworm is caused by Trichophyton fungi. A broad-spectrum antifungal is best because of the many mutations of this fungus – there are 119 individual types, not to mention the tens of species. The problem is that the fungus is highly contagious, and the moment it gets the conditions it craves – a dark, protected, moist space such as under tight clothing, the toes or groin – it can take hold. The itch is the worst symptom but in severe cases, moisture-filled blisters can occur. Often the inflamed area, if this fungus shows up on the skin, leaves only a ring-like shape which is where the ‘ringworm’ name comes from. It must be treated as it will cause discomfort, and can lead to secondary bacterial infections if you do not treat it. This is an azole antifungal, which works by stopping the growth of the fungus. It’s main mechanism of doing this is by inhibiting the moisture the fungus craves. This is why the manufacturer puts puts emphasis on the fact that the main working of the product is to create a moisture barrier. This renders conditions inappropriate for the fungus and makes DermaFungal great preventive measure for not only ringworm but also Athlete’s Foot and similar fungal infections. 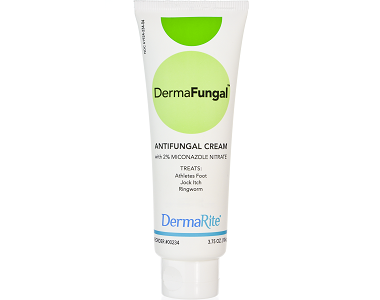 How Do You Use DermaRite DermaFungal? The directions are not very explicit, but you should dry the affected area and any other areas that may be prone. Do this after carefully having washed the area. Then, apply a thin layer and allow it to sink in easily. It should absorb easily. A 3.75 oz tube retails for $8.11 on Amazon. On the dermarite website, the manufacturer also mentions 5g packets but its not clear what these cost. There are no discount incentive for buying multiple tubes. When researching this product and manufacturer we did not come across one. It is strange that such a widely used product which consumers rate as being effective, isn’t guaranteed but perhaps that is because the manufacturer has been clear that it markets DermaFungal primarily as a way to prevent ringworm in those prone to it, rather than as a cure. Miconazole nitrate is a known antifungal. The cream is mostly odorless, and sinks in easily. Many consumers are attracted to how comparatively inexpensive it is and how it works on a wide-range of fungal-related skin ailments. Some consumers claim it to be the same cream they are given in hospitals. There seems to be no guarantee precisely because this is not a cure first and foremost, although it certainly does stop the fungus in its tracks. It is intended more for use as something you routinely use on your skin if you know areas such as a groin, toes, or skin covered by tight clothing will lead to an active fungal infection. As a result, this is more of a generic kind of default cream that is handy to have around. 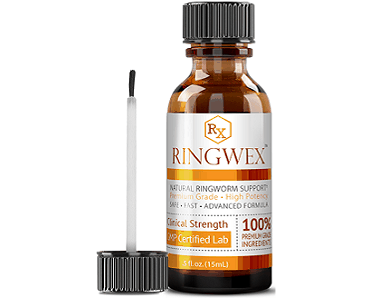 If your infection is far gone or particularly stubborn, change to something more specifically formulated against ringworm and with a stronger potency.